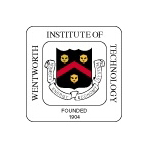 Stevens Strategy(and prior to the formation of our firm, John Stevens as a senior member of another firm) led a wide variety of projects over an extended period of time at Wentworth Institute of Technology. I can’t thank you enough for the really outstanding work you have done for Wentworth Institute of Technology over the years: from setting up our operating and capital budgeting systems, to developing our financial planning model and revenue center analysis system, to helping us implement our administrative computer system, to creating our student service center and helping us redesign our classroom scheduling system. Your efforts have clearly made this a better place.